Today was the closing of the World Economic Forum on Latin America, which saw hundreds of leaders from the region come to the Colombian city of Medellín. Here is a snapshot of some of the issues they were discussing. Around 80% of Latin America’s population lives in cities , which makes it the most urbanized region in the world. Some of these cities are models of innovation. Take the host city of Medellín, which managed to shake off its reputation as one of the most dangerous places in the world to be named City of the Year in 2012. 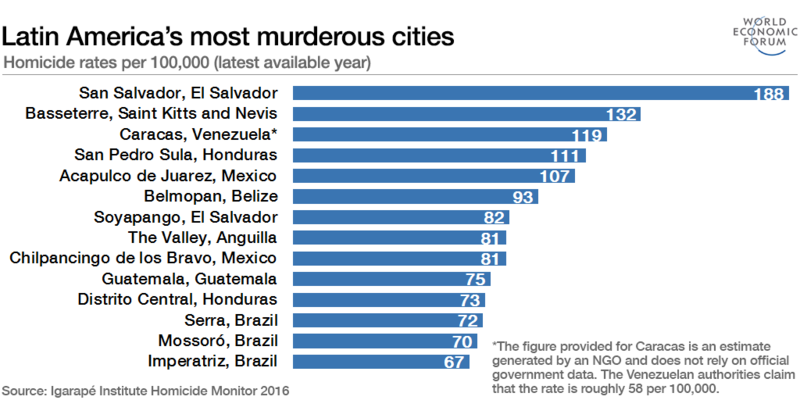 But the region is still home to some of the world’s most violent, fragile and unequal cities. What can Latin America more widely learn from these rare but important success stories? For Robert Muggah, who has written about the topic on this blog , and was speaking in a session on public security , the solution is clear: you need strong leadership, a focus on hotspots, and good data. 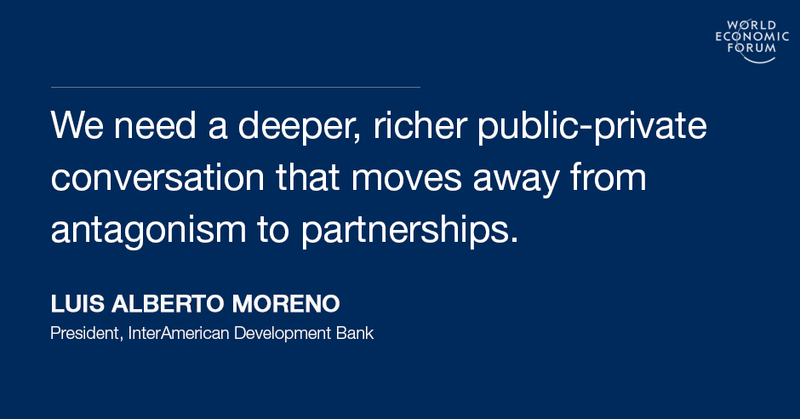 Another area where Latin America has been making incredible progress is corruption. You wouldn’t think so, judging by all the headlines this year, particularly out of Brazil. But as participants said in a session on the topic, it’s actually very good news for the region, because it means people are starting to accept and tackle a problem that was once brushed under the carpet. “When people see corrupt leaders being thrown in prison, they think corruption is high,” Juan Carlos Botero of the World Justice Project pointed out. Instead, he argued, it means the institutions supposed to prevent this type of culture are doing the job they failed to in the past. It’s rare to get so many leaders from all walks of life under the same roof for two days. It makes sense that when it does happen, the focus will be on the biggest challenges we’re facing. For Latin America, that includes corruption, internal conflict, falling commodity prices and inequality. But as was pointed out on many occasions throughout the meeting, the region has several achievements to be proud of – and plenty of things to look forward to in the future. The best way to build on this progress? For everyone to work together towards the same goal: kick-starting growth and making sure everyone benefits from it.